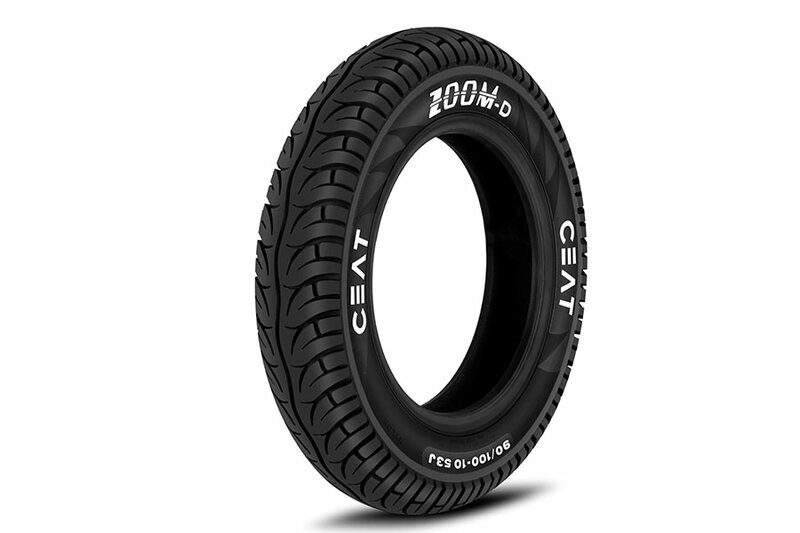 CEAT Limited, a leading Indian tyre manufacturer has equipped Honda Grazia with tubeless sporty looking tyres ‘CEAT Zoom-D’ which are especially designed to cater driving needs of urban citizens. One of the key features of these tyres is the ability to provide high speed stability and safety for riders on urban roads. ‘CEAT Zoom D’ tyres are part of a newly-launched flagship scooter model by Honda Motorcycle & Scooter India (HMSI) – ‘Honda Grazia’. With controlled road grip and stability, these tyres ensure a safer, comfortable and vibration-free drive for a rider especially for a high-speed urban road travel. CEAT ‘Zoom D’ tyres are designed with directional tread grooves with wide tread arc that provide better handling and superior grip even on sharp turns. The perfect blend of superior control and stability makes these tyres the most preferred choice. These tyres are available in 90/100-10 and 90/90-12 sizes for front and rear area of the scooter. We are glad to deliver CEAT Zoom D tyres as per Honda’s expectations of high power speed while maintaining safety of the riders on a priority. Our objective has always been to produce best in class tyres for our customers by making their travel safer and smarter, and this is one more of such efforts in the same direction. We are glad to be associated with Honda for Grazia and look forward to strengthening our collaboration further. Also shop Honda Grazia Tyres from GaadiKey Store.